As we draw nearer to Google's October 4 unveiling event, Pixel 2 leaks are spreading like wildfire. With that, we are picking up info on some solid flagship specs and fairly anticipated color options and price points. The biggest concern to date, however, has probably been the design of the smaller Pixel 2. 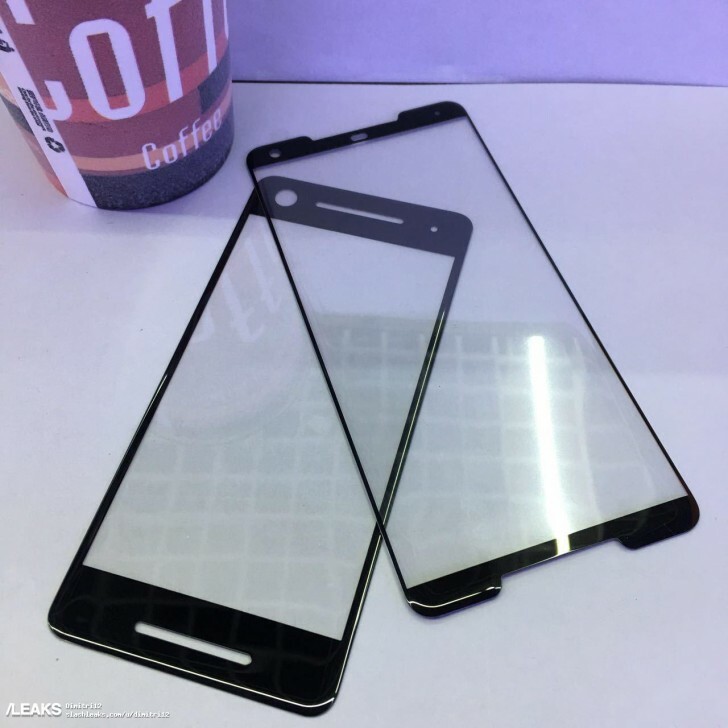 This is definitely not our first glimpse of the phone's alleged profile, but today does bring a new photo of what are quite plausibly screen protectors for the upcoming Pixel 2 pair. Hopes of a more modern exterior for the regular Pixel 2 are dwindling fast. All signs clearly point to massive top and bottom bezels for the handset and its front-facing stereo speaker setup. Since this time around, the regular Pixel 2 will be made by HTC, while its bigger Pixel 2 XL sibling will come courtesy of LG, design differences were always expected. Still, we were hoping for a little bit less of a drastic difference between the pair. Other than that, if you can live with a more retro look, the regular Pixel 2 will still be powered by the same Snapdragon 835 chipset its sibling will receive. Both phones will use Gorilla Glass 5 and will have IP67 water resistance for improved durability. The next-gen Pixels will have single cams on the front and back, seemingly both with OIS. So no dual camera upgrade to one of the best shooters of 2017. Other suggested specs include a 6-inch, QHD FullVision screen like the one in the LG V30 for the Pixel 2 XL and a smaller 1080p panel for the Pixel 2. Also, 2,700mAh battery for the small one and 3,520mAh for the big one (still no wireless charging), a choice between 64GB and 128GB storage coupled with unlimited Google cloud storage until 2023 (unclear if it’s only for photos/videos or any file). Last, but not least, a side-bezel squeeze feature has been popping up in the rumor mill. It should work much like the HTC U11’s Edge Sense and is expected to launch the Google Assistant. Hopefully, Google facilitated some technology exchange during the development process, so both models can share the interesting input control. Both devices are expected to run Google's latest Android Oreo ROM out of the box, which is hardly a surprise and retail at $649 for a 64GB Pixel 2 and $749 for a 128GB Pixel 2 XL, respectively. I've seen more Pixels than MiMixes... Yeah the Pixel totally didn't sell.